Myself and face setting powders don't always get along. Some can make my skin look chalky, some seem to settle around my pores and others simply don't keep my makeup lasting throughout the day. 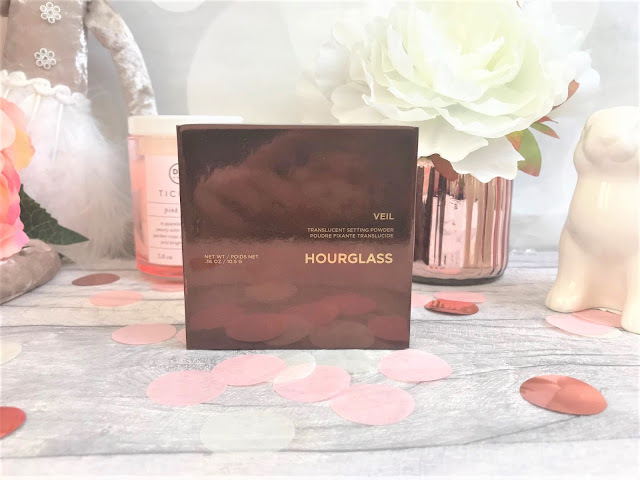 So, whilst I was recently looking online for setting powder recommendations, I came across the Hourglass Veil Translucent Setting Powder. However, at £42, this wasn't a product I could easily afford, and was something I had to save up for, but it was an investment I was willing to make based on the reviews I had read. Hourglass Veil is an ultra-refined loose powder which has been created to disguise imperfections and ensure that your foundation and concealer are set to perfection. The powder has been finely milled with soft-focus light reflecting particles to instantly blur, making it perfect for those pesky pores! The Powder itself comes in a sleek jar, with a twist-off lid, which opens up to reveal a letter H was has been created by perforating holes which is where the powder is released through. 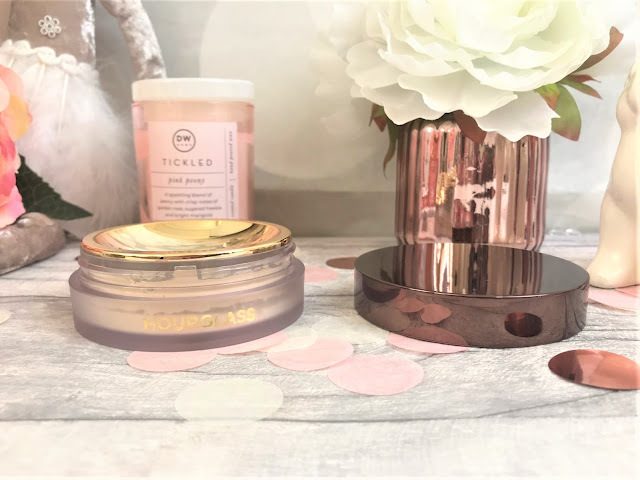 I like this component very much as it really helps to control the amount of powder you are putting on your brush, and there is also a stopper on the inside of the lid so that the powder doesn't spill everywhere when you are not using it. This is 100% talc-free, and you can really tell that when using the powder, as it feels silky and not at all chalky, which is definitely more preferable for me personally. 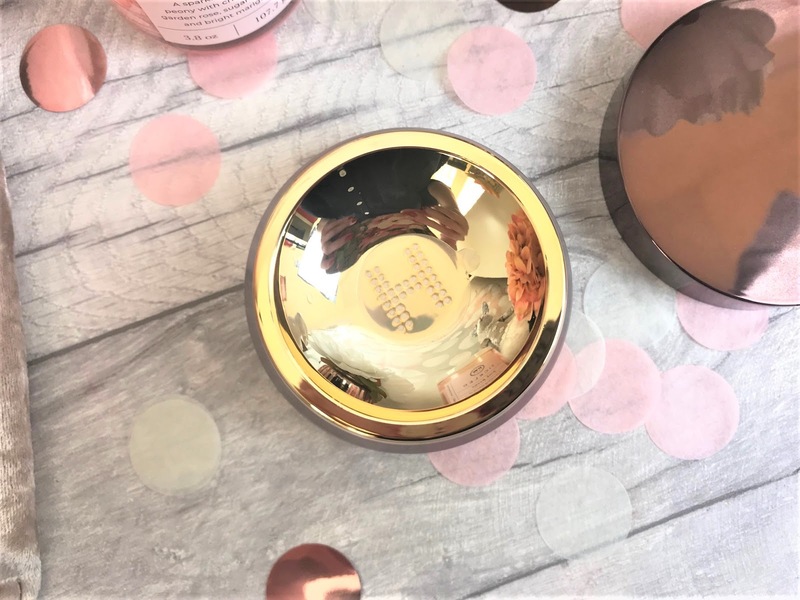 Veil is a translucent powder, but it does look slightly creamy in the jar, but don't be put off by this as once applied to the skin, you cannot see a trace of colour from it. You get 10.5g of powder here and the jar may look fairly small, but it is packed with product inside and I have barely made a dint in the quantity. Did this work for me? Yes, it did, and the thing I like most about it is that it doesn't look or feel chalky on my skin, and because it is so finely milled, it disappears onto my skin perfectly, and manages to keep my makeup under control throughout the day and it did make a difference to my pores, which didn't totally disappear but they definitely look a lot less visible. Would I buy it again? This is a pricey product, there is no doubt about that, but the quality far outweighs the price for me, and to be honest I don't think I would need to repurchase for a long time as there is so much product and you only need a small amount per wear. You can find Hourglass Veil Translucent Setting Powder online at retailers such as Space NK.